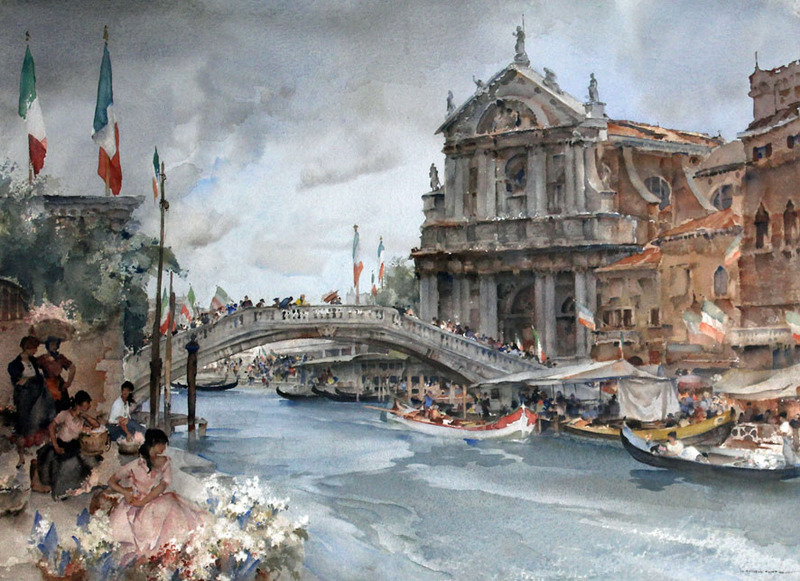 The above painting is recognised as one of his finest paintings and was published by Frost and Reed as a signed limited edition print in 1965. To see the artist at work with Cecilia Greene in 1956, watch the YouTube by clicking here - Paintings by Sir William Russell Flint. 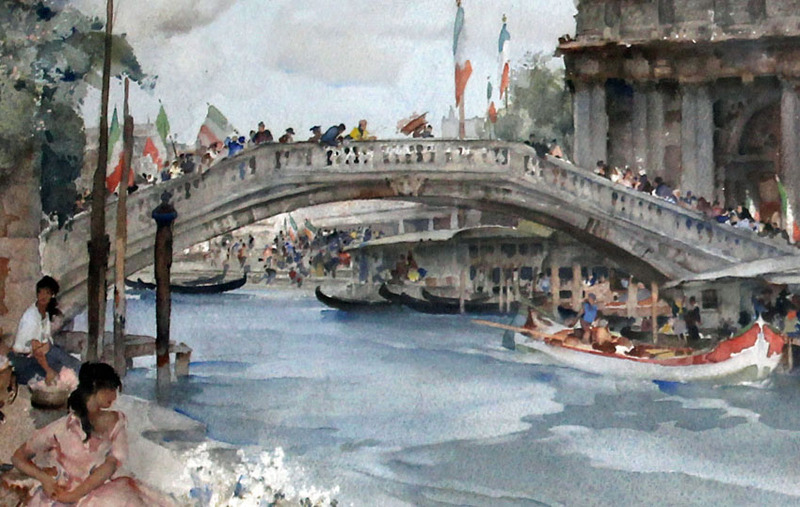 The scene depicted is the Ponte degli Scalzi or "Bridge of the Barefoot Monks", one of only four bridges to span the Grand Canal. On the north side are the Chiesa degli Scalzi and the Santa Lucia railway station. The south side is the sestiere of Santa Croce.